Interested in a new 203 Vortex but want to take it up a notch? Enter the 203 VRX. 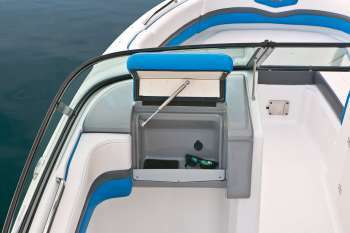 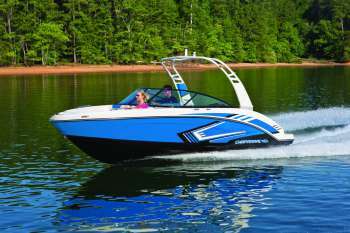 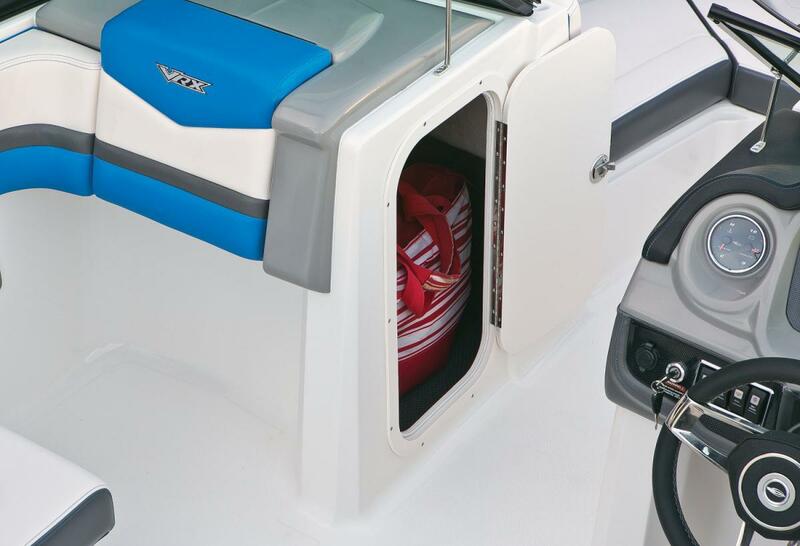 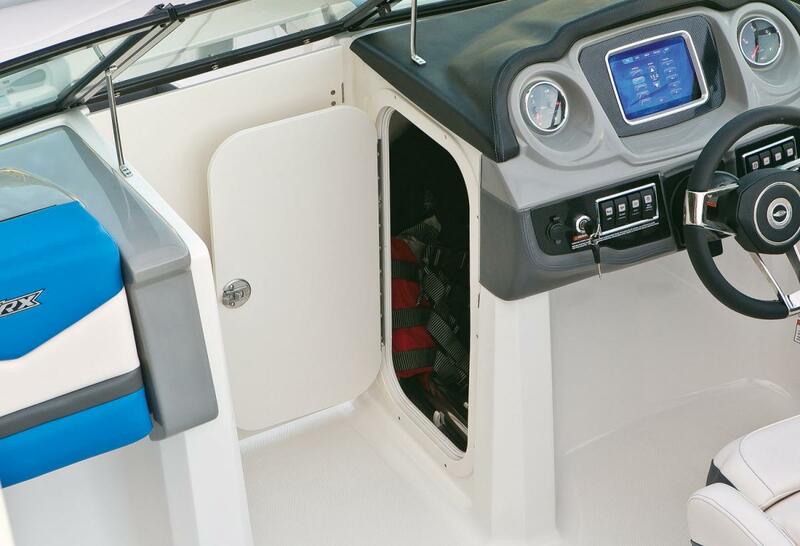 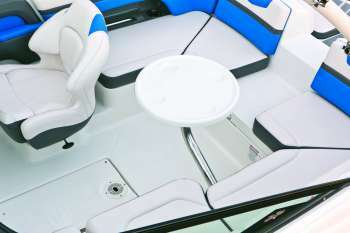 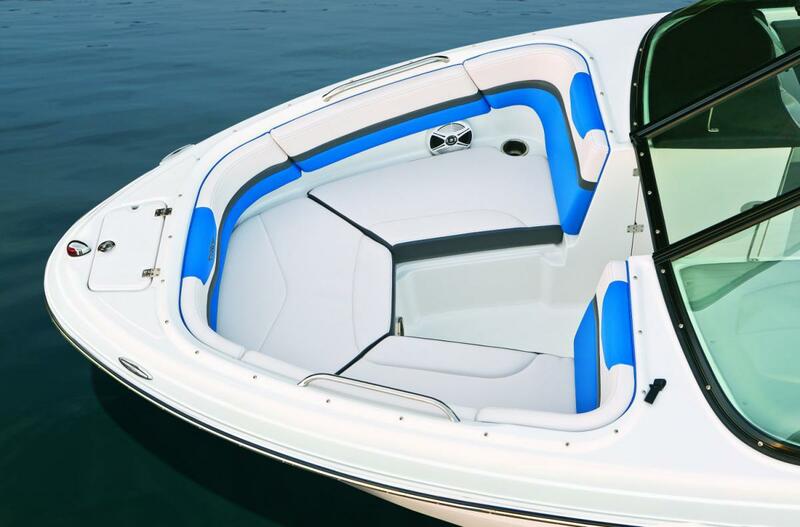 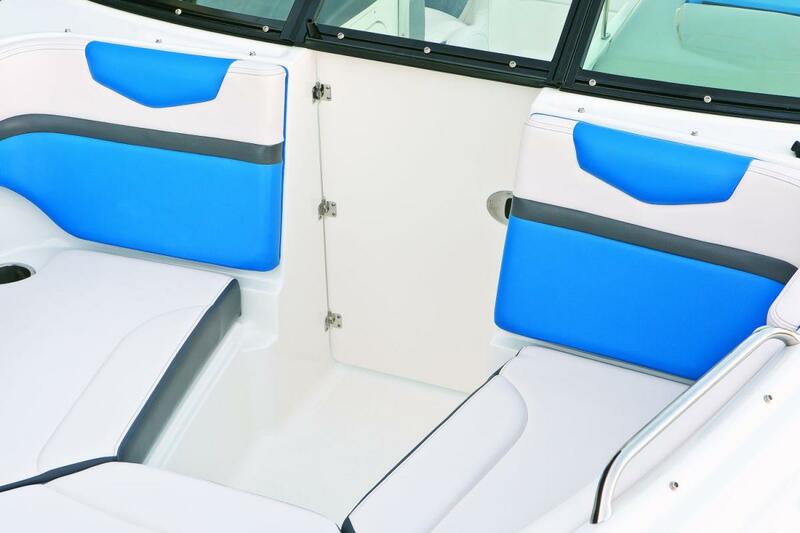 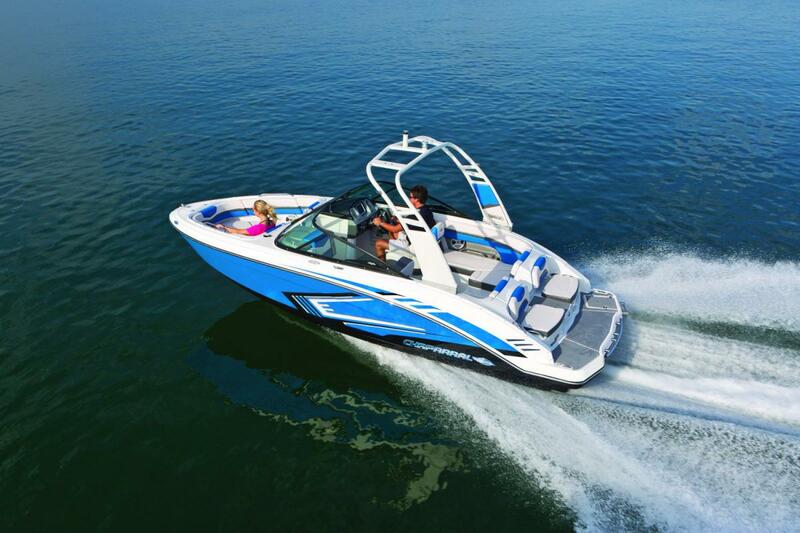 The new boat features the same hull design, interior layout and high quality construction as its Vortex sister ships. 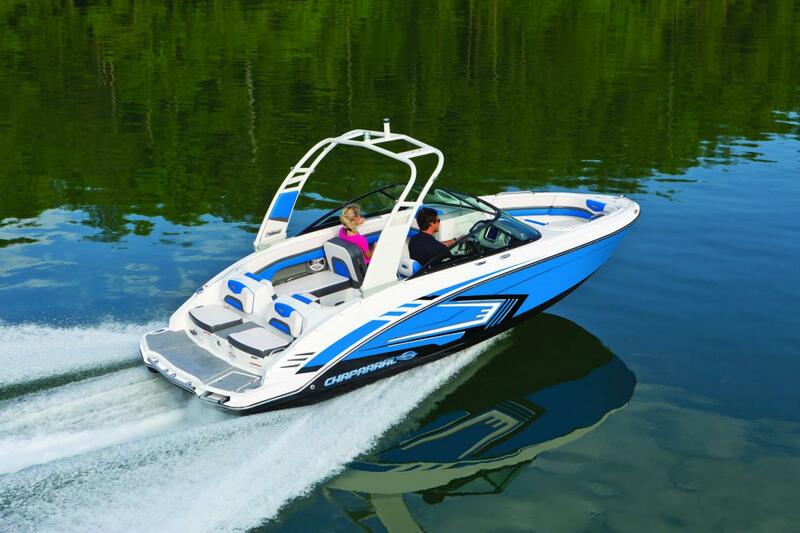 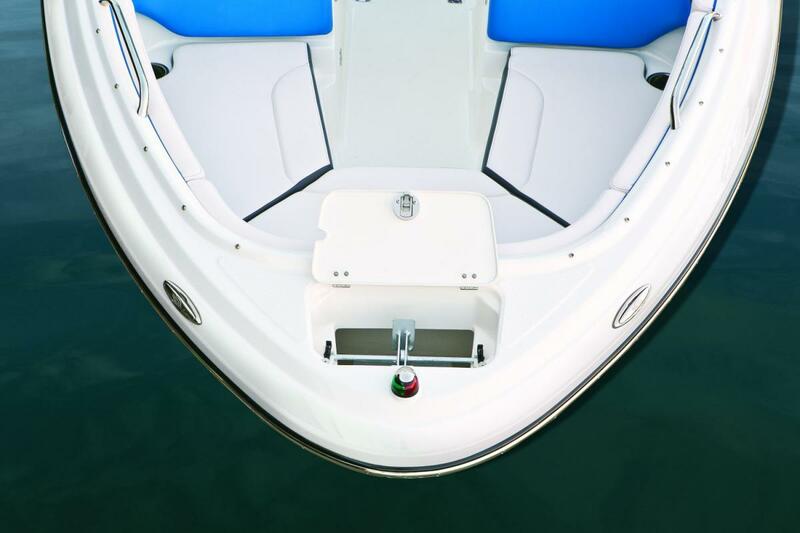 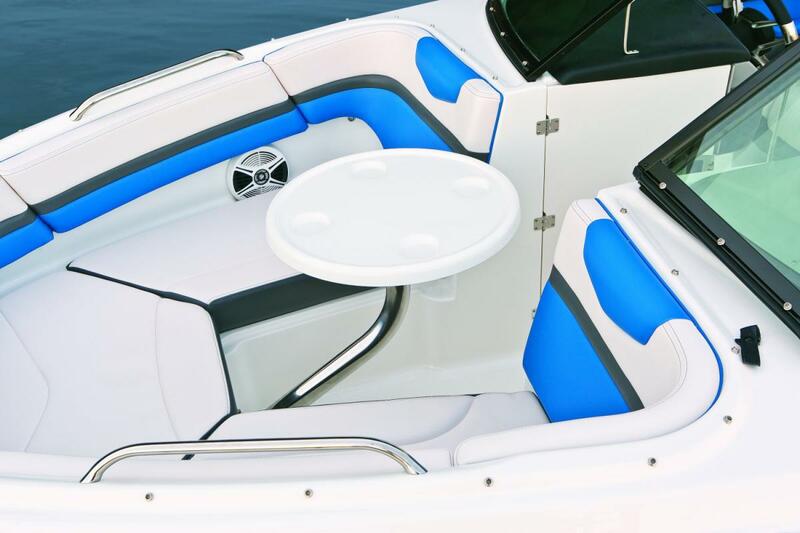 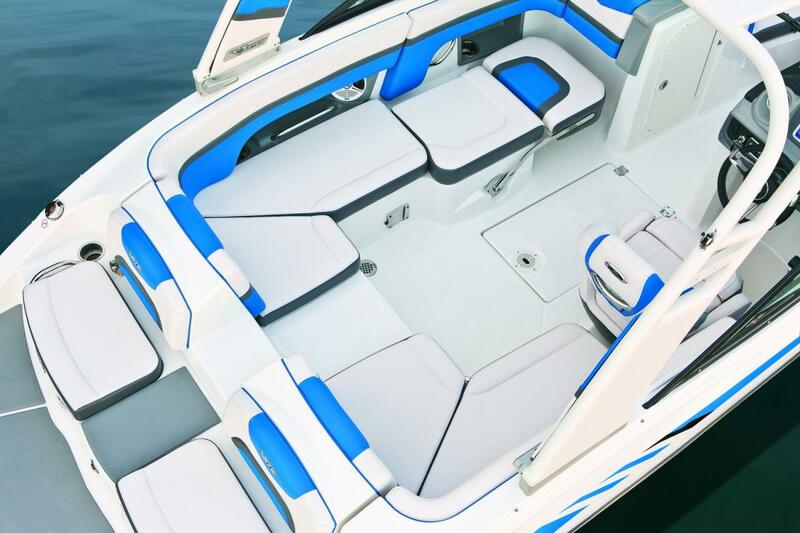 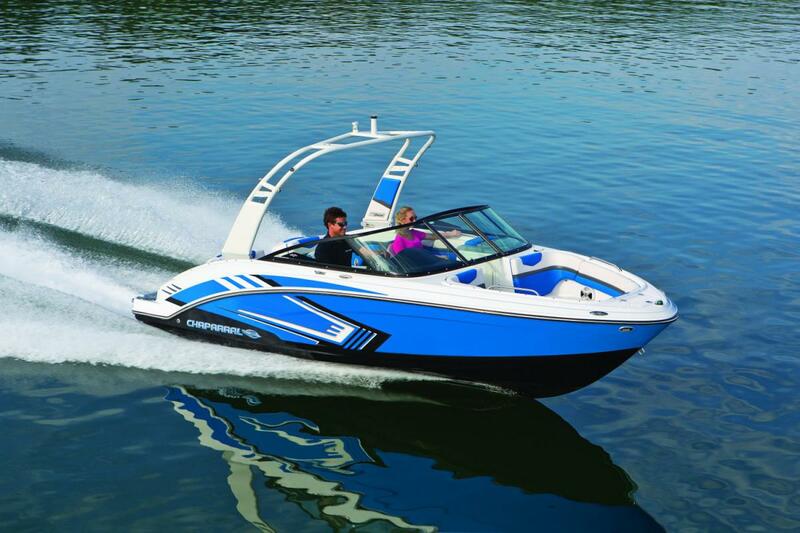 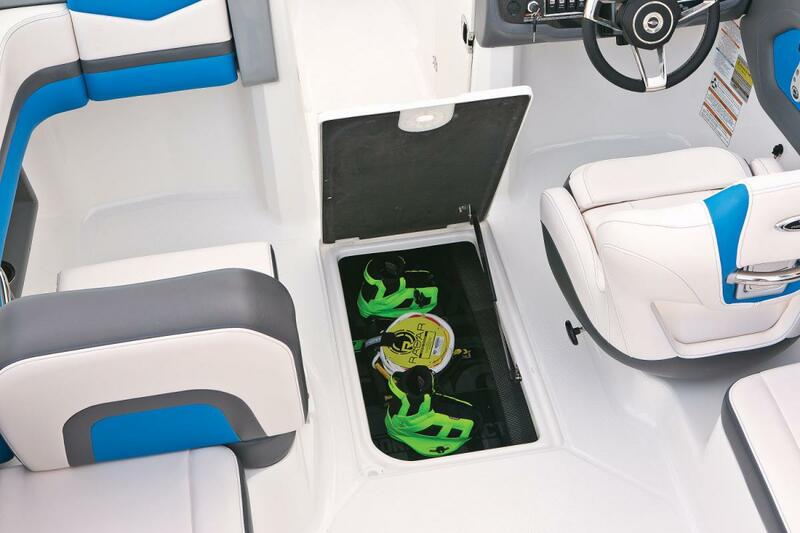 The difference is a standard equipment package that includes upgraded extras and eye-catching graphics unlike anything you've ever seen in a jet boat. 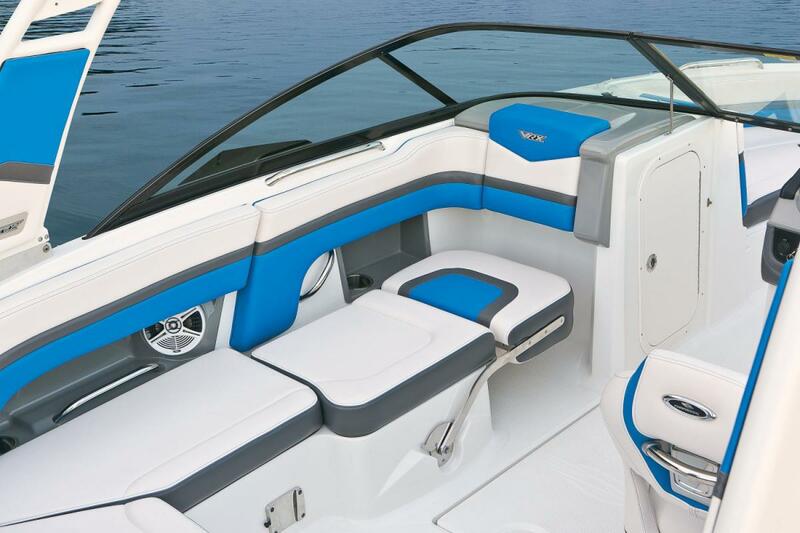 Six color choices including Aqua, Biscayne Blue, Fire Red, Lime, Stealth and Yellow are anything but shy. In addition to the head-turning style, the new VRX includes a white or black folding arch tower with a ski mirror standard. All the good stuff you've come to expect from Chaparral is standard on the 203 VRX. Snap-in cockpit carpet feels good underfoot and is easily removed for speedy cleanup. 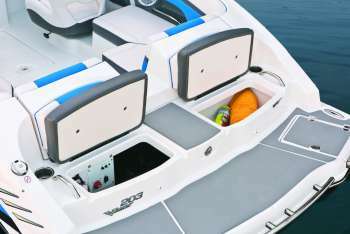 U-shaped cockpit seating with a multi-purpose Oasis port side lounge is an open invitation for family fun. 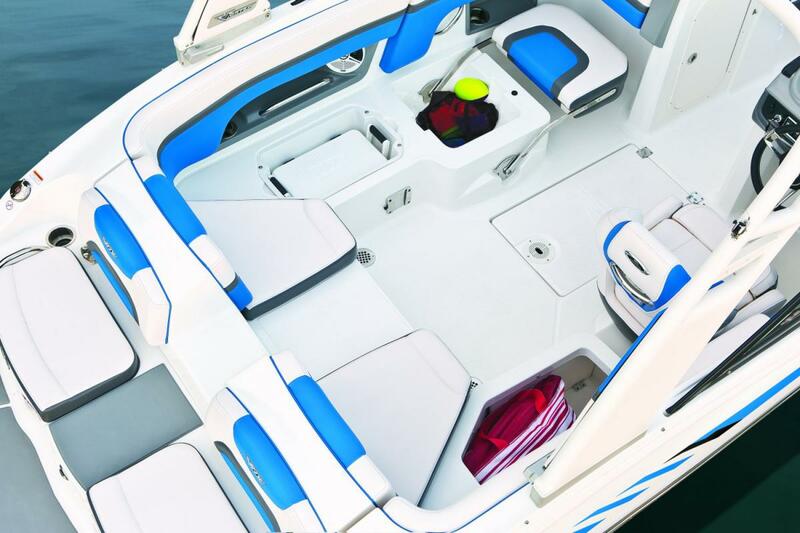 You'll be amazed at the comfort and expanded capacity. 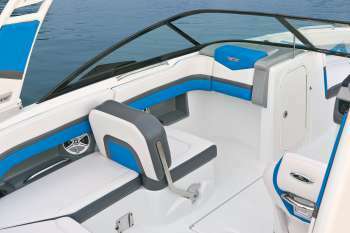 The sound system rocks and the dash features a hand-stitched vinyl finish that says high class in every way. 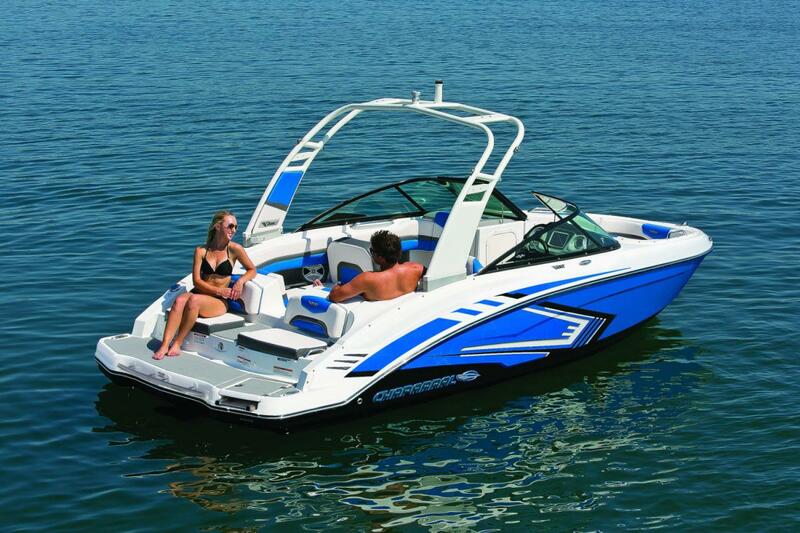 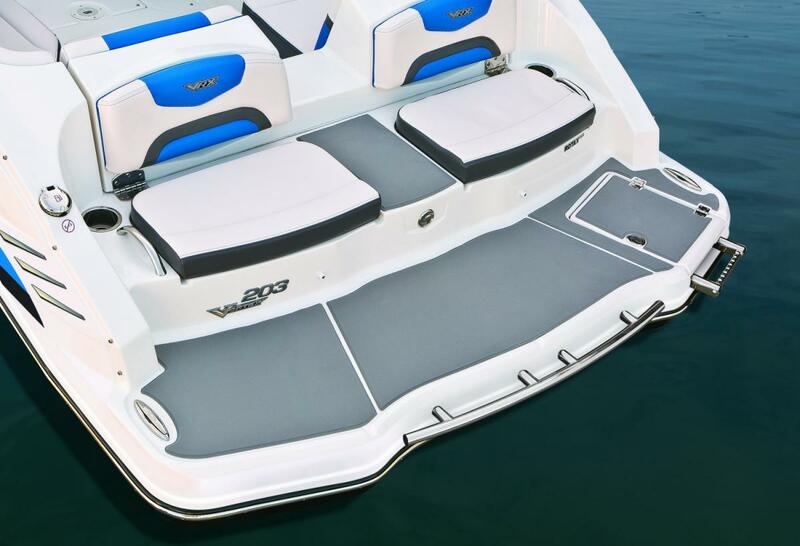 Aft, a super-sized integrated platform provides the perfect launch pad for the water sports enthusiast. Twin aft facing stern seats connect onboard passengers with all the splashing going on in the water. 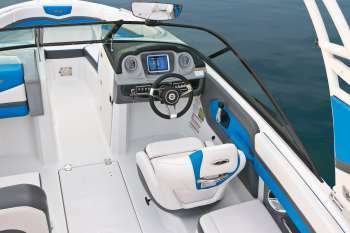 Power is supplied via a 1.5L Rotax high output powertrain that ties into the most advanced dashboard electronics you'll find at this length and price point. Available at No Haggle, Real Deal pricing that will please any budget, the 203 VRX also comes standard with a 15" black powder coated trailer.